Lagos State Governor, Mr. Akinwunmi Ambode on Thursday said the State Government will formally sign a Memorandum of Understanding (MoU), with investors for the construction of the proposed 4th Mainland Bridge before the end of May 2016. 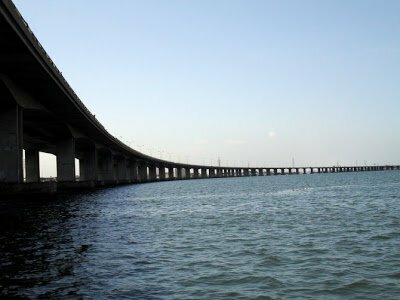 The Governor, who spoke at the First Quarter 2016 Town Hall Meeting, the third in the series, held at the Ikorodu Town Hall, Ikorodu, assured residents that once the MoU is signed, work would begin on the 4th Mainland Bridge, which according to him, would go a long way to boost the economy of Lagos East Senatorial District. He said investors have equally shown interest in the redevelopment of the fish market to an international Fish Market and the redevelopment of inner roads in Epe and Ibeju-Lekki. Governor Ambode said the intention of his administration is to ensure that no part of the state is left undeveloped, expressing optimism that the Lagos East Senatorial District which used to be the economic hub of the state in the then Western Region will regain its position. He also directed the Ministry of Energy and Mineral Resources as well as the State Electricity Board to look at the possibilities of providing electricity for Igbo-Olomu community, a suburb in Ikorodu, which has been without light for over 10 years. Highlighting some of his administration’s strides in the last quarter, Governor Ambode said the State achieved major breakthrough in security, saying that since the launch of the N4.78 billion equipment, the state had won several battles against crime. He said the quick response in the rescue of the kidnapped girls in Ikorodu and the quelling of the Mile 12 riot were testimonies of the effectiveness of the security system in Lagos. The Governor added that many criminals had so far been arrested since the launch of the security equipment, saying that he was ready to pay for information given that would lead to the arrest of hardened criminals. Governor Ambode also used the occasion to appeal to residents to continue to pay their taxes, take ownership of projects in their domain and support the government to achieve the policies and programmes aimed at ensuring a safe and prosperous Lagos.